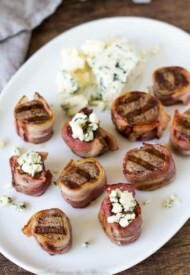 Wrapped in bacon and topped with blue cheese, these melt-in-your-mouth tender mini filet mignons are simply the best!! I know, I know! It’s unreal how fast time goes by. June means Father’s Day is around the corner. 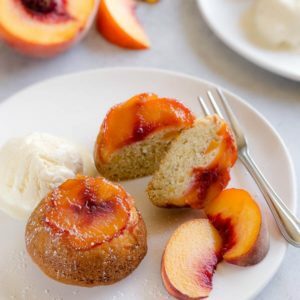 Have you decided what to cook for dad? If not, here is one amazing appetizer idea for ya! 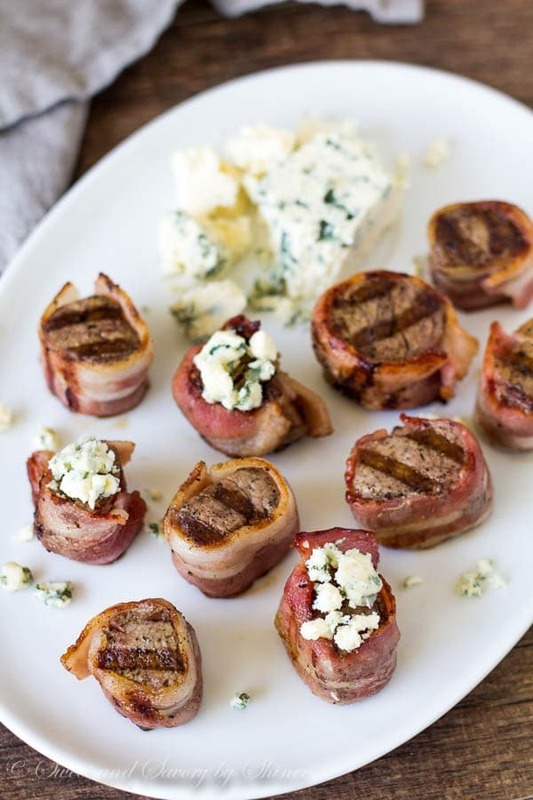 Bacon wrapped mini filet mignons, topped with blue cheese! BOOM! It’s amazing, just like it sounds. 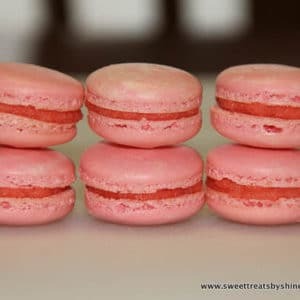 It’s so super simple to make these too. 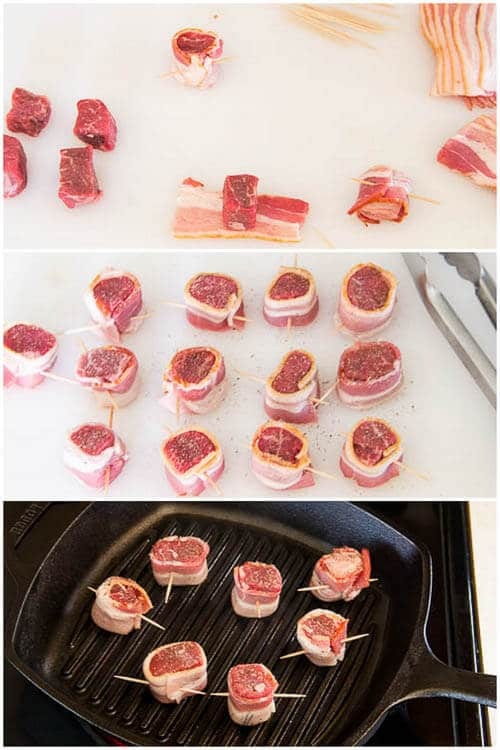 Cut the tenderloin into small bite-size pieces and wrap them in bacon. Secure with toothpick. 2 cooking methods for you: 1. Grill/bake, or 2. Deep-fry. Let’s discuss each method in detail. Method #2: My husband actually came up with this method. I really liked how fast and evenly steaks cook. Bacon is crisp, crunchy and evenly cooked. Superior!! 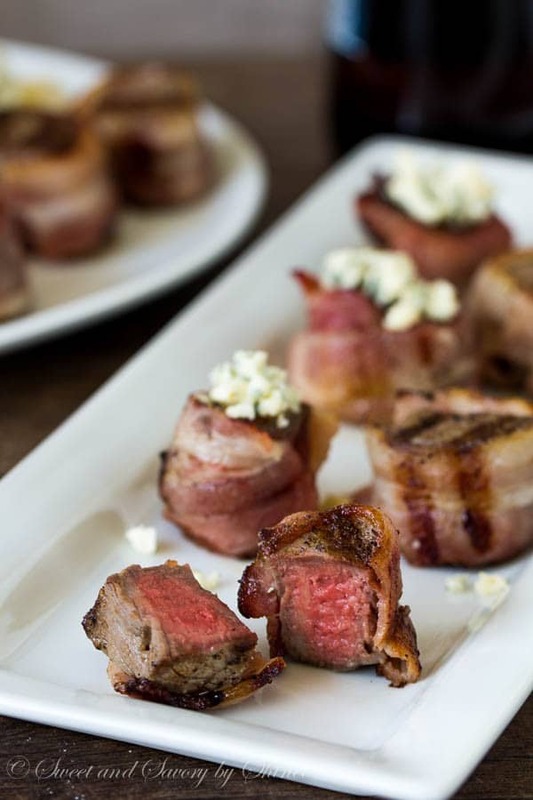 Whatever method you choose, you will love these mini filet mignons. 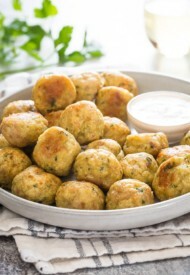 Perfect appetizer for meat-lovers! Cut the tenderloin into 1-inch (2.5cm) cubes and thoroughly dry each piece with a paper towel. Cut the bacon strips into 4-inch (10cm) long strips. Wrap the cubed steaks with the bacon and secure with a toothpick. Generously salt and pepper the steaks on each side. Cooking Method 1: Heat the oil in a skillet over medium high heat. In 3 batches, sear the steaks for no more than a minute on both sides (non-bacon sides). Place the steaks on a baking sheet on bacon side. Bake for about 2 minutes, turning from one side to another, until the steaks reach the desired doneness (125°F for rare, and 145°F for medium), about 2-3 minutes. Cooking Method 2: Heat at least 3-inch of oil in pot to 350°F (175°C). Deep fry the mini filet mignons no longer than 2 minutes. Remove onto a wire rack. 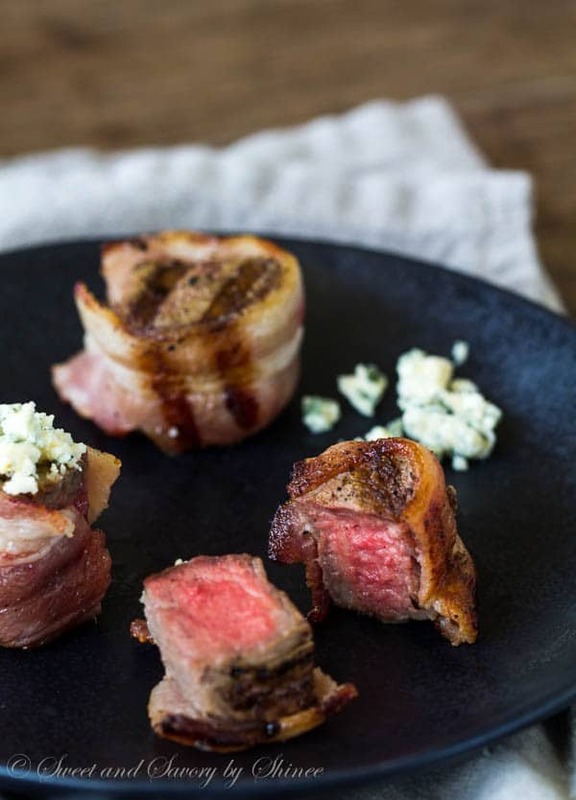 Top the mini fillet mignons with blue cheese and serve immediately. Oh my gosh! 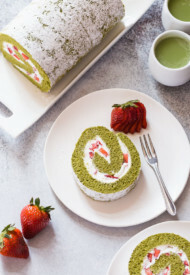 How cute and delicious! They make me feel starving! 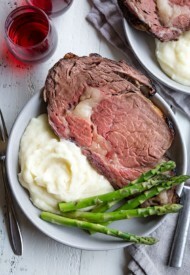 LOVE medium rare steak and the mini version looks so cute! Never added blue cheese on my steak but I need to try it out. It sounds really tasty. Try it, Maggie. I bet you’ll love it. Thanks for stopping by. They are the cutest!! Thank you, Mila! These look fantastic! What a genius idea! Both methods sound great to me, as long as there is bacon and steak. Yum! I love this idea for Father’s Day! What other cheese would you recommend besides blue cheese though. I love it, but my hubby does not. 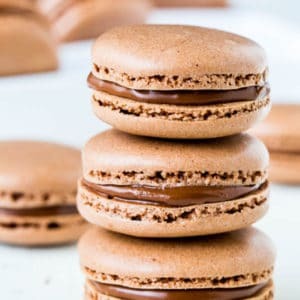 🙁 I’d love to make these for him! You’d be just fine omitting blue cheese, Michelle. They are just as delicious on their own. Thank you! 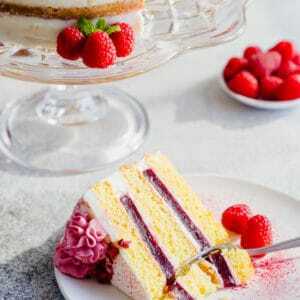 Looks Yummy!! I have a hard time cooking beef steaks just right! Yours looks amazing! I would love if you stopped by My 2 Favorite Things on Thursday – Link Party and share your stuff!! I’d love to have you!! It’s still open! What a great idea Shinee! 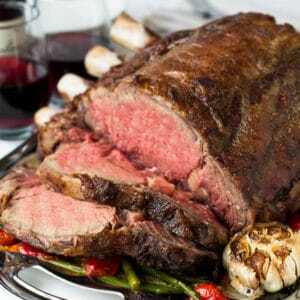 This is on my list to do for my next dinner party! These are dreamy! 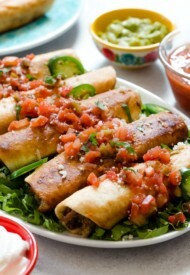 I would love any party I went to with these as an appetizer!